These are the words of Major Cowie of the Dorset Regiment, writing in May 1915 to Captain P. V. P. Stone of the 1st Battalion, Norfolk Regiment about the Second Battle of Ypres. In April 1915 the 1st Battalion had been stationed at Hill 60, a large man-made mound about three miles south east of Ypres. The Germans were determined to capture Ypres, and deployed a new and particularly vicious type of weapon to do so. On April 17th and 18th, the German artillery used gas shells for the first time. 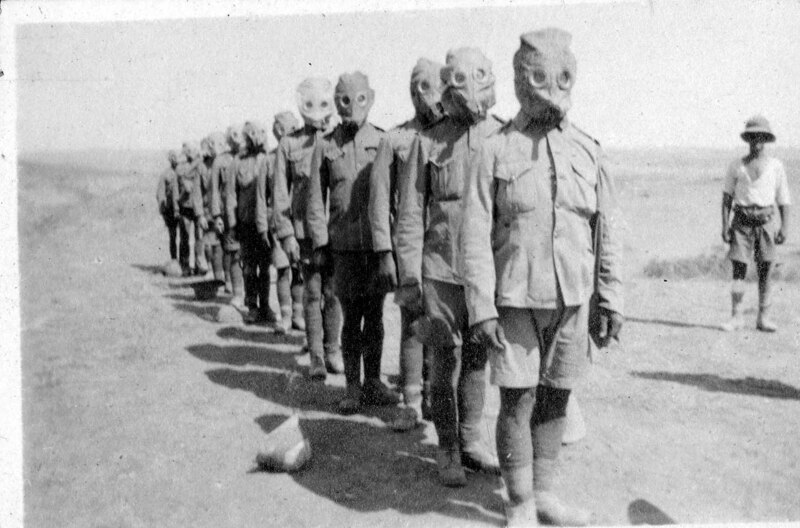 Soldiers of the Norfolk Regiment wearing gas masks. At first the British men were without gas masks and suffered large numbers of casualties during gas attacks. Initially, men followed instructions to urinate on handkerchiefs or fabric gas hoods in an attempt to neutralise the fumes. This proved ineffective, and by October 1915 the P.H. gas mask was introduced. Click here to watch a War Office film showing the changing gas masks of the First World War. 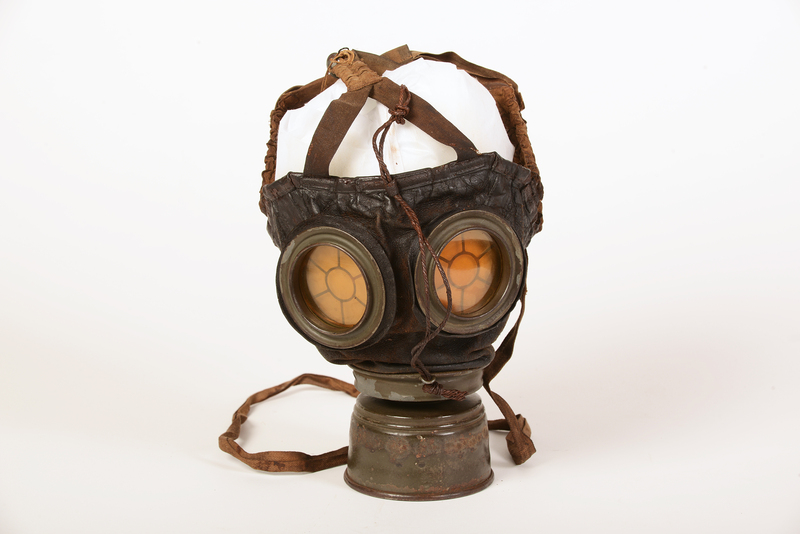 The helmet pictured above is from the Royal Norfolk Regimental Museum’s collection and is a German gas respirator and container. The British Army soon retaliated to the use of gas, and in September 1915 launched their first gas attack against the Germans at the Battle of Loos. By the end of the War almost 30,000 soldiers had died from the effects of gas alone.